These mantles are useful for work done in metal cans with resins and adhesives. The mantles are built for long life with a durable aluminum exterior and come equipped with compact power controls that have solid-state circuitry, positive-off switches, and pilot lights. The control may be positioned on or beside the mantle. Includes Powrtrol Proportional Voltage Control. Note: Power controls are recommended for all heating mantles. Mantles are able to withstand up to 400°C heat internally. These mantles easily heat your one-gallon cans. 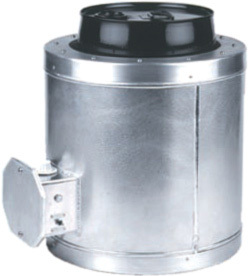 These mantles heat one-gallon metal cans quickly to speed the removal of viscous materials: tars, plastics, shortening. The temperature can be controlled by a separate control device. Controller is optional. Note: Power controls are recommended for all heating mantles. Mantels are able to withstand up to 400°C heat internally. Five-gallon can mantles heat up quickly. These mantles allow fast heating of five-gallon metal cans with or without bail. Has pilot light, "hurry-up" switch for faster heat up, and integral thermostatic control. This heating mantle can heat metal beakers safely and efficiently. Inner glass-fabric layers prevent contact of heating elements and vessel walls. The mantle is designed for straight-walled vessels. Can be custom designed. Certification: All 115-volt items are CSA certified. Electrical: Detachable 4-ft., 3-wire cord and locking connector. Note: Power controls are recommended for all heating mantles. 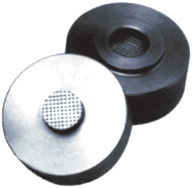 Pulverizing in the Micronizer is a simple task, and laboratory safety is improved since no sharp-edged tools are required. The technician places a specimen in the mill cavity, presses the two mill halves together, and rotates the halves in opposite directions several times. This process is successful with other tough, resilient materials in addition to nail clippings. Cutting head inserts are replaceable, and the entire unit is autoclave in preparation for the next sample. 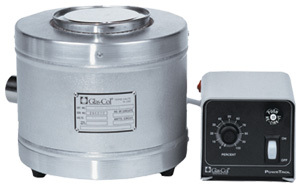 Work Surface Of Cutting Head Diameter: .625"
Powrtrol Proportional Voltage Control is solid-state, and provides precise manual control of heating mantles, tapes, cords, and other resistive loads. The output range is conveniently adjustable from 5 - 100% of rated voltage. Electrical: Lighted on/off power switch, circuit breaker protection, 3-wire load receptacle, and 3-wire line cord with molded plug. PowrTwin control is capable of controlling two separate circuits independently. It is a solid-state, proportional-voltage controller that allows the precise manual control of laboratory heating equipment such as heating tapes, cords and mantles. The Powr-Twin has an output range adjustable from 5-100% of rated voltage and can be used on the bench top. Electrical: Lighted on/off power switch, circuit breaker protection, 3-wire line cord with molded plug. 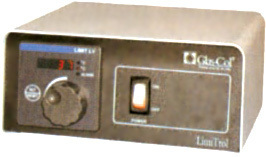 The DigiTrol II uses a microprocessor-based user-selectable control mode temperature control. The control features a digital dual output display for set point and process temperature indication. The automatic-tuning feature ensures increased temperature accuracy with minimum overshoot. Easy set-up and simple input commands make this control very “user friendly.” The load and the thermocouple receptacles are located on the front panel for easy accessibility. 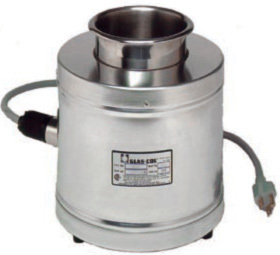 Features automatic cold junction compensation and thermocouple break protection. Furnished with an immersion thermocouple with 6” long stainless steel probe. This microprocessor-based ramping control provides fourfile/24-step program capability or easy-to-use non-ramping set-point operation. Ramping operations include four files with six steps each. Programming options include ramp-rate or time-based profiles, guaranteed soak deviation, program looping and program status selection after power outage. Files may be linked to create a single, 24-step program. Also allows automatic setting of control parameters with little user input. RampTrol automatically sets the PID parameters (proportional band, reset/integral, and rate/derivative) through a “learning” sequence in the auto-tuning mode. The primary analog input is a thermocouple. The back panel features a nine-in serial port for communication with a PC. A secondary output is available for cooling, along with a 4-20ma retransmit output for temperature recording and an RTD input. Information is stored in non-volatile memory. Control Mode: Single output. 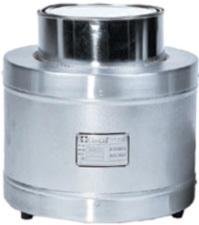 Optional retransmit of set point or process variable. Four-file/24-step ramping or nonramping, set-point control. Ramp-rate or time-based programming. Selectable control status following power loss. Operator Interface: Dual, four-digit LED displays: upper, 0.4 inch (10 mm) for process (red); lower, 0.3 inch (8 mm) for set point (green). Mode, Hold/Run, Display, Up and Down keys. 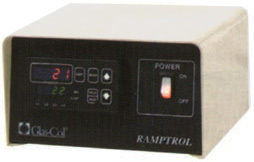 The LimiTrol limiting control provides a safety backup for laboratory heating processes. When installed between the primary power or temperature control and the power source, the LimiTrol allows for over-temperature limiting. The operator simply sets the LimiTrol to the maximum temperature for the process. Should the primary power control fail, or the process temperature be exceeded for any reason, the LimiTrol will terminate power to the primary control, thus reducing the chance of damage to samples, expensive equipment and glassware due to overheating. The unit features a manual reset, which means power will remain off until the operator restores the system. The set-point dial is calibrated in 20°C increments, and the load and thermocouple receptacles are located on the back panel for easy access. Furnished with a type J immersion thermocouple with 6” long stainless steel probe. Electrical: Lighted on/off power switch with auxiliary LED indication, fuse protection, 3-wire load receptacle, 3-wire line cord with molded plug. 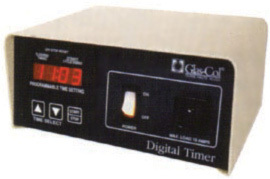 The Digital Timer is a micro controller-based countdown interval timer with digital display. For use with mantles, heating tapes, ovens and other resistive loads up to 10 amps. Also can be used with stirrers, vortexers, shakers and other motor-driven laboratory equipment up to 10 amps load capacity. Four timing ranges may be selected from the front panel. At the completion of the timing cycle, a solid-state alarm will sound for 5 seconds. The power to the load receptacle is terminated at the end of the timing cycle. The timer will then reset to the preset starting time. The timing cycle may be interrupted by pushing the start/stop button. Timing will resume from the stopping point when timing cycle is restarted. Electrical: Lighted on/off switch, circuit breaker protection, 3-wire grounded receptacle and 3-wire cord with molded plug. Audible Indicator: Solid state alarm sounds for 5 seconds at the end of the timing cycle.